There are currently no West Greene Mosheim, TN notable alumni listed. Be the first to add an WGHS famous alumni. If you know someone who graduated from WGHS in Mosheim, TN that has passed away, you can create a memorial for them. There are currently no memorials for West Greene Mosheim, TN alumni. Even if alumni from West Greene High School have moved away from Mosheim, Tennessee, they can use this site to find and contact high school friends. If you are a West Greene alumn, we encourage you to register and be sure to sign up for the alumni newsletter. We also encourage you to keep up to date on news and reconnect with West Greene High School alumni. David Stafford has someone searching for them. Sarah Steckbauer has someone searching for them. Steve Roach has someone searching for them. Sandi Wolfe has someone searching for them. Jean Everhart Henderson added photos to their personal photo gallery. Jean Everhart Henderson updated her profile picture. 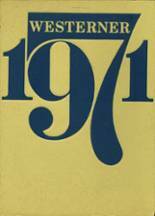 Jean Everhart Henderson registered as a WGHS Class of 1979 alumni. Maxine Hinkle Lovin registered as a WGHS Class of 1975 alumni. Maxine Hinkle Lovin added photos to their personal photo gallery. Maxine Hinkle Lovin updated her profile picture. 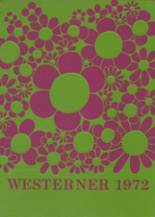 Maxine Hinkle Lovin requested a WGHS yearbook from 1973. Jennifer Sanchez registered as a WGHS alumni. Jennifer Sanchez added photos to their personal photo gallery. Jennifer Sanchez updated her profile picture. Rebekah Ottinger Ray registered as a WGHS Class of 1999 alumni. Rebekah Ottinger Ray updated her profile picture. Rebekah Ottinger Ray added photos to their personal photo gallery.